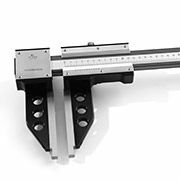 Looking for that precise measuring device that can verify parts dimensions as long as 3100mm (just over 10 ft length!)? 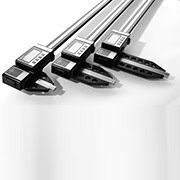 GDP Tool offers accurate and affordable measurement verification for large parts. Machined from a solid block of aluminum, our calipers do not flex or bend. Hard anodization (50 HRC) provides the rigidity and sturdiness of steel, with the benefits of easy handling and light weight of aluminum. 0.01mm. Up to a 6-meter single piece magnetic strip!